in only part of that country. For more specific within country information, see the guidelines below. Morocco, Oman, Qatar, Saudi Arabia, Syria, Tunisia, Turkey, United Arab Emirates, Yemen. 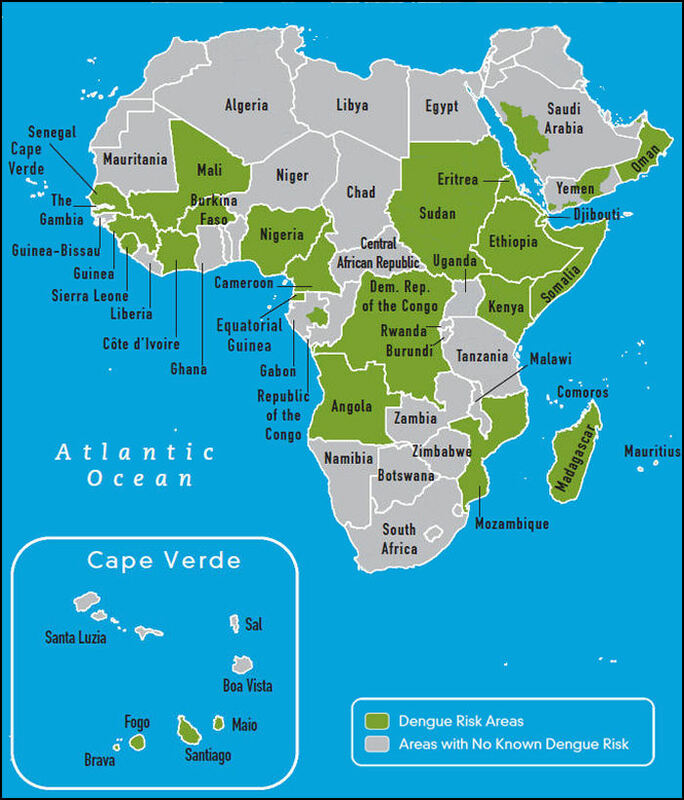 Angola, Benin, Botswana, Burkina Faso, Burundi, Cameroon, Cape Verde, Central African Republic, Chad, Comoros, Congo, Democratic Republic of Congo (formerly Zaire), Djibouti, Equatorial Guinea, Eritrea, Ethiopia, Gabon, Gambia, Ghana, Guinea, Guinea-Bissau, Ivory Coast, Kenya, Lesotho, Liberia, Madagascar, Malawi, Mali, Mauritania, Mauritius, Mayotte, Mozambique, Namibia, Niger, Nigeria, Reunion, Rwanda, Saint Helena, Sao Tome and Principe, Senegal, Seychelles, Sierra Leone, Somalia, South Africa, Sudan, Swaziland, Tanzania (including Zanzibar), Togo, Uganda, Zaire (see Democratic Republic of Congo), Zambia, Zimbabwe. malaria risk in the Northern half of the country from November through to June. Very low malaria risk - avoid mosquito bites. malaria risk from June - Oct in the El Faiyum region (50 miles south of Cairo on the west bank of the Nile) - Regimen 3. 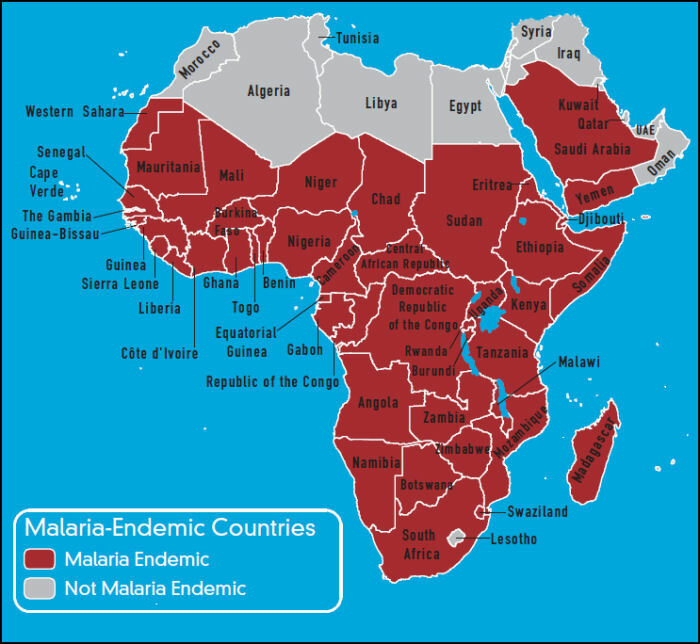 All other areas, very low risk, avoid mosquito bites - Regimen 4.
malaria risk is present all year in the south of the country, but only from July to October in the north. 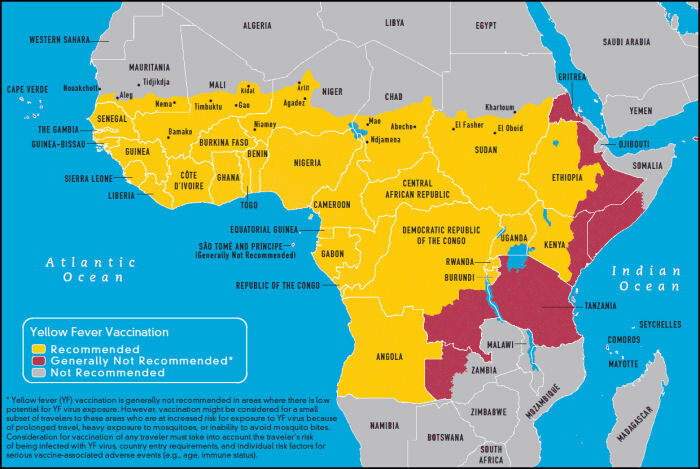 malaria risk in rural areas only - Regimen 3. Very low risk on Rodrigues Island and tourist hotel areas, avoid mosquito bites. malaria risk is present in the northern third of the country between November and June, and throughout the year in the Kunene and Kavango river valleys and close to the Angolan border - Regimen 1. The rest of the country - Regimen 4.
malaria risk in the northeast and low altitude areas of the Northern Province, Mpumalanga and eastern KwaZulu-Natal down to 100km north of Durban, including national parks in those areas eg. Kruger National Park. malaria risk in areas below 1200m between November and June. All year round in the Zambezi Valley - Regimen 1. Very low risk in Harare and Bulawayo - Regimen 4.